Attentions: The site of "World Remix" has been closed. 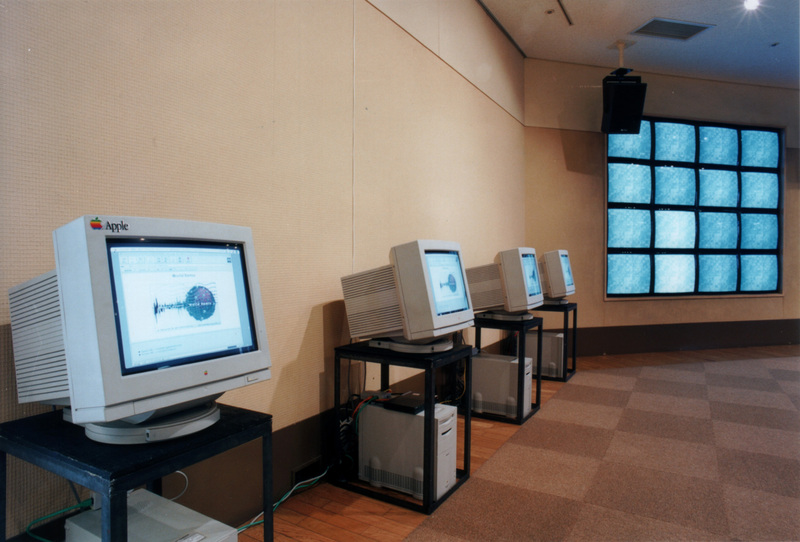 "World Remix" is a World Wide Web (WWW) production that retrieves sounds from around the world over the internet then and remixes them. In the world, millions of servers are at work and have countless sounds. But, we cannot access most of these sounds. Not until we click on the web page, can we hear the sounds on this page. We cannot notice them if they are only sound effects on obscure Web pages. "World Remix" searches for sounds throughout the world and then sends them to users. Sometime Techno will encounter Beethoven, and mix with the speech of a revolutionist. And at other times, tourist information will be mingled with the news, and a warning will drown out the waves. In this way, "World Remix" remixes the world as a pilot with unknown sounds and is as fancy and selfish as a DJ mixing his sounds randomly. 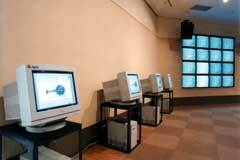 We use the WWW browser "Netscape Navigator," with the Shockwave plug-in, to see and hear the "World Remix" contents. Anyone who has the equipment to link to the internet can enjoy "World Remix" easily. We hope that numerous users in many places around the world will simultaneously be able to hear various sounds on a planetary scale. The Search Robot searches for sounds on the WWW servers around the world. Like general search engines, it searches WWW pages by tracing their links. If it finds sound data linked to a page, it stores the URL in the database. This robot searches for AIFF or WAV sound data. In addition, the Agent program is working constantly to check the certification of URLs stored in its database. In other words, if sound data is not included on an URL, the Agent program deletes it in the database. The Search Robot and the Agent program of "World Remix" are coded in Java language. The server providing "World Remix" to users is a general WWW server (HTTP server). It returns current URLs from the database to users on their demand. And it can also provide information about stored URLs and access to WWW pages. Processes in the server use CGI which was coded in Perl language. Users access "World Remix" by using a general WWW browser. 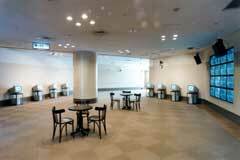 They can listen to sounds which are downloaded from servers by using a sound data URL. At this time four sounds at most can be heard simultaneously. In addition, a client program shows the progress of connecting as an animation. Users can hear the sounds and see where the sounds are located on a world map. Users can also store original sounds in the "World Remix" database. These programs running on the client side were coded in Java Script and Lingo (Shockwave) based on HTML. In this way, these three parts operate together, but it is seen on one WWW page by the user. This page remixes various sounds in the world from a mass of databases, which are constantly increasing, and gives users constantly changing sounds. "World Remix" is similar to radios in existing media. A user cannot select the sounds. He just hears the sounds selected by "World Remix". A user only has to register his original sound, just as radio listeners request music on a radio station. From a negative point of view, however, "World Remix" lacks the interactivity that the WWW has. But, on the positive side, users can hear unknown sounds without any difficulty by using "World Remix". More importantly, there is so much sound data on the WWW that one person cannot search for it, because he/she simply doesn't have enough time to search. There is no other way to hear all these sounds scattered all over WWW, except by using "World Remix." It is said that "World Remix" is contents without contents. "World Remix" itself does not have contents; it just indicates a client program which plays sounds on servers around the world. In other words, the sounds played by "World Remix" change if sounds on the servers in the world change. So "World Remix" just has a mechanism but does not have contents. It is said that "World Remix" has an extremely strange character because every previous work in music, art, and multimedia has content. However, this characteristic is not that of "World Remix" alone, but that of the WWW, whose data and links are created dynamically but lost without notice. So "World Remix" is a new system which has adopted the WWW's character. "World Remix" gathers data from around the world at random, but there is no guarantee that it is indeed random. That is why we get various results based on the page from which the search robot starts searching. This can give a one-sided result. If the search robot searches all the WWW pages in the same way, servers do not save all sounds in the world in the same way. There are many servers in the USA and Japan, and these servers have lots of music and many different sounds, according to their culture and languages. The Internet and the WWW have the concept that it is a network throughout the world, but it sometimes develops one-sidedly. The results are one-sided as matter of course. 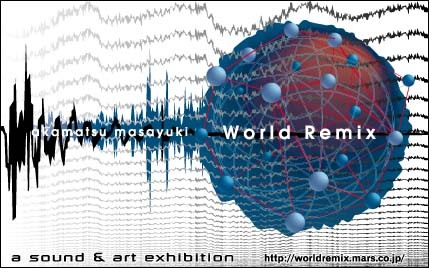 It is said that "World Remix" remixes a distorted world. In addition, it is easy in technique to program "World Remix" to work for a purpose. For example, we can promote some music and speech by playing them at a high frequency. Thus, we see there is no guarantee that search engines and directory services which are generally considered to be fair are in fact fair. We therefore conclude that "World Remix" contains some deception and risks from the internet and the WWW because "World Remix" uses their mechanisms. It follows from what has been said that "World Remix" is a production of the network which searches for sound data, stores it in servers around the world, constructs databases, and remixes sounds from all over the world on client machines. 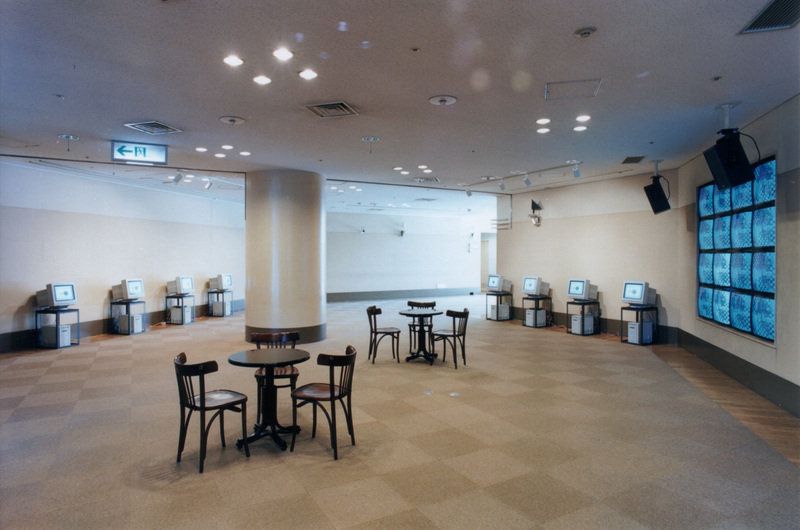 "World Remix" is not only a work for amusement and entertainment, but is a work that raises many questions about the mechanisms of the internet and the WWW which, "World Remix uses.